I drink bubble tea fairly regularly. I enjoy milk tea with tapioca bubbles, which is a classic bubble tea combo. Lucky for me, Disney World has one spot that does sell it: The Joy of Tea! The kiosk is right outside the China Pavilion inside the World Showcase in Epcot. 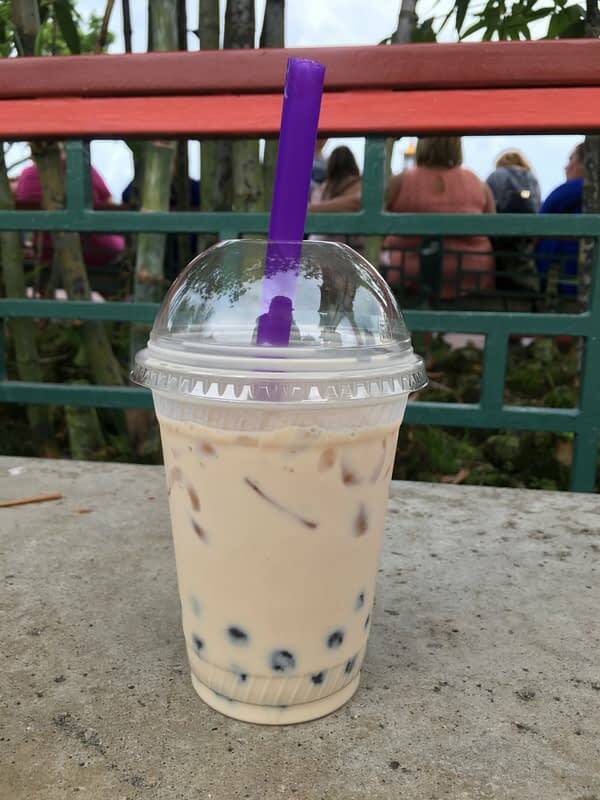 Bubble tea is a staple on their menu, so if you have a craving for it while inside Disney World, you’re in luck. The peach-flavored black tea will set you back $6.50, but frankly I’m not sure if it’s worth it. The tapioca pearls were too mushy, and the tea was rather flavorless. I managed to finish most of it, but this isn’t something I would get on my next Disney trip. Even if you’re mildly curious about bubble tea, I would avoid this drink — you’ll be spending too much on something that just doesn’t deliver. Edna Mode Will Be Seeing You This Summer at Disneyland Resort!